Once again fires are raging in Indonesia, engulfing the country and its neighbours in a thick haze that threatens the climate and the health, education and economy of people in Indonesia, Malaysia and Singapore. Scientists and policymakers - aware of the extreme dry season of El Nino - have been predicting fire for months. Why then, do fires continue to blaze and what is being done about it? With losses amounting to more than US$10 billion, the region’s leaders have stepped up commitments to solve the haze crisis. 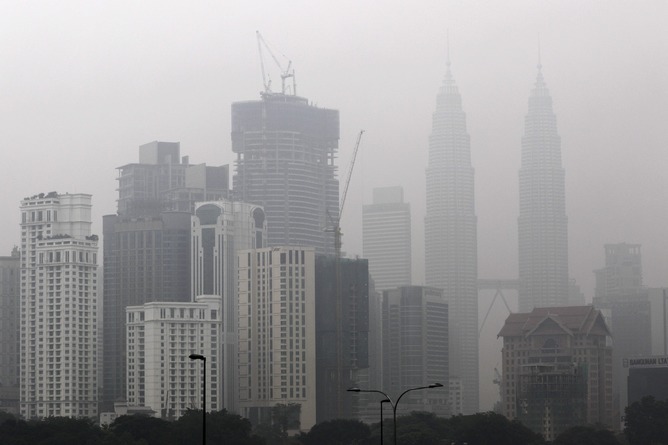 The Association of Southeast Asian Nations (ASEAN) wants the region to be haze-free by 2020. Indonesia has promised zero haze for 2016. But is this realistic? Are we addressing the underlying drivers of fire to arrive at long-term solutions? Indonesia does not lack technological means to prevent forest fires. In 2014, Indonesian President Joko Widodo supported a canal-blocking program in Riau, Sumatra. Canal-blocking retains water in peat forests, preventing these from drying up and being easily burnt in the dry season. The burning of land and forests are driven by a global demand in palm oil. Indonesia’s ambition to be a top exporter of the commodity and influential patronage networks hinder the political capacity to prevent fires used to clear land. Fires are often used to clear land for agriculture because this method is cheap and easy. These days, demand for land in Indonesia is mostly driven by a global demand for palm oil. Palm oil is commonly used as cooking oil in many Asian countries. Around the world, it is also used in various products from soaps and lotions to chocolate bars and bio-fuel. Indonesia already provides 52% of the world’s oil palm supply. With investment support from Malaysia and Singapore, Indonesia aims to continue to be the world’s largest supplier of the commodity. Almost 11 million hectares of oil palm plantations - owned by Indonesian, Malaysian and Singaporean companies - are exporting 33 million tons of palm oil, reaping revenues of US$18.4 billion in 2014. Indonesia further plans to allocate millions hectares of land for agricultural development, including 9 million hectares for smallholders that includes palm oil. Oil palm is clearly a major driver of local, national and regional economic growth. The question is not whether we develop oil palm, but how we can do so in a sustainable way. Who Gets What From Burning Land And Forest? CIFOR’s research project focusing on Riau, Sumatra, shows that a number of actors – large and small - are involved in burning land and forest. These actors benefit directly and indirectly from the business of fire, enjoying profits and economic rents at the expense of environmental quality. Our initial findings show that the value of land cleared by fire is US$900 per hectare, which increases to US$3,800 per hectare for land planted with oil palm. We find that money from land cleared by fire is mostly distributed to local elites at the district level who manage land transactions and organise farmers and local community members who engage in burning. Local elites receive 68% of the revenue while individuals who burn land get 22%. Village elites who administer land documents obtained 10%. These actors exchange information and form complex social networks. For example, local elites can influence decision-making processes at district, national and regional levels. Medium and large-scale companies employ former high-ranking officers and eminent individuals as commissionaires and advisers so they can liaise with governments to bypass bureaucratic processes. These elites form protective patronage networks, which hinder the government’s capacity to allocate economic resources efficiently, enforce the rule of law and maintain justice for all citizens. Patronage networks, profits and high market demand for oil palm incentivise the use of fire and will result in fires and haze continuing to occur every year. For long-term solutions, we must shift the focus from fire suppression to fire prevention. Reducing the incentives for large and small-scale actors to burn land is crucial. First, Indonesia should assess the legal demand for land for large and small-scale plantations. Certainly, market demand for illegal land for plantations must be reduced and eliminated. Second, clear spatial plans should be developed and enforced to ensure appropriate allocation of forests, plantations and other land uses, and to reduce land conflict between stakeholders including local communities. Clear spatial plans also offer tenure security to landholders, giving them incentives to manage their land in a sustainable way. Third, the environmental costs of fire and haze must be internalised through sanctions and fines for those who burn land. Companies could pledge funds – stored in a public account and transparently managed - for fire-prevention activities. Fourth, transparency, civil society engagement, anti-corruption measures and an efficient government bureaucracy will reduce the effectiveness of patronage networks. Maps of forest and land concessions should be made publicly available. Civil society organisations must continue to engage in decision-making processes and policy implementation. High-ranking government officials should pledge their commitments to anti-corruption efforts, supported by public monitoring of their properties and finances. Just as Singapore and Malaysia share the profits of Indonesia’s palm oil, so must they share the responsibility for fire and haze. If ASEAN wants to see a haze-free region by 2020, there needs to be greater regional collaboration for real policy action that involves more binding regulations, more effective law enforcement and increased funding. Most importantly, we must stop blaming each other.